← El Pulpo Maker oh! Israel’s Midburn needs help getting art out to the desert. I guess the Israelis couldn’t figure out how to make enough money from a sold out event, to actually get the art to it! Tickets cost 490 shekels, which is US$140. They sold 2000 of them, which is US$280,000. In addition to this, they’ve raised $75,000 from the Israeli community. They still need another $18,000 – or $9 from each person attending. So far they have raised $211 of the $18,000 they’re looking for. What happens if they don’t get more? Will this first-time event be art-free? For some reason their Indiegogo runs for a month after the event, which happens in 9 days. Caveat emptor, Burners…remember this is the Middle Eastern bazaar. We hear Maid Marian is attending, let’s hope she (and her multi-million dollar non-profit Burner culture spreading .ORG) are donating too. $18k doesn’t seem like much to spread Burner culture to a giant segment of the globe, with the first ever Middle Eastern burn. What can I say – you have a sweet blog, and write about Burning Man …which is why I’m reaching out to you. As part of Israel’s first Burning Man Festival- Midburn- My fellow Burners and I working hard to raise money to support artists contributing to the Midburn Art Project. We already have over 30 artists and art projects underway for our festival this June, but we need to raise a bit more money to ensure that all this artwork makes it to the festival and beyond! It would mean the world to us if you could write a short blog post about our Indiegogo Campaign- or about our event in general. Of course, we’d love you to donate too :), but we really need your help in spreading the world. I cannot express how grateful I am to you for reading these words. Hopefully, we’ll be able to thank you in person at the next burning man festival. [Update: 5/25/14] Rachel has contacted us to ask us to change this post. I’m not sure which part she has a problem with – it seems accurate enough. Her explanation sheds further light on the funding compromises the organizers were forced to make, without support from BMOrg. She answers our question: yes, they’re not going to bring much of the art to the event unless they raise these extra funds – even though it is located close by. Apparently the reason the Israeli’s can’t pay the artists from their sold-out event is they underestimated what things cost in Israel. The fences have to be higher and the generators have to be bigger. Emphasis ours. Please allow me to explain the campaign, it’s timing and expenses, so that you might consider changing what you wrote in your post, since we’ve seen it take a very negative toll already. As this is our first ever burning man, we had to make estimations about how much money we would need to cover the event at the beginning. Unfortunately, we ran into budget issues late in the game, and our artists are sadly the ones who we see need money the most. If we don’t get money to cover expenses, some art will not be able to make it to midburn (despite its proximity) and many artists will be in large debt. It will also take a toll on our desire to support the project in the future. So yes, the timing is unfortunate, but it was necessary. Israel is extremely expensive – at least 2x more expensive than the States. As we’re off in the middle east, surrounded by countries we have poor trade with, all supplies that might be considered to be cheap in the states are quite expensive here. This means that the money that we do have, doesn’t go nearly as far as you might think. Israel has unbelievably strict security requirements. For Example: Only very specific and expensive generators can be used according to law. Gas requirements also leave us with far more expensive equipment than is required in the US. Lighting is extremely strict and requires way more lighting than would ever be required in the states. Fencing is also extremely strict- we have to invest in building a massive fencing encasing in order to get approval from the law. For all of these reasons and more we are running the campaign despite the timing, and despite the money we’ve already succeeded in bringing in. Perhaps Midburn would’ve been better to rent the fencing and lighting and generators for their first time event, rather than taking the cash windfall from the sold out show and “investing” in this gear. That way, they could still pay the artists, make profit for themselves, and charge even more for tickets next year. It seems like a mere $10 price rise on the tickets would have made the event profitable, not bad for a first effort. Coachella didn’t make money for years. We did not expect such a massive response, especially as we chose not to publicize the event,” admits Nir Eden, one of the organizers, who works as a logistics manager for a fashion chain. 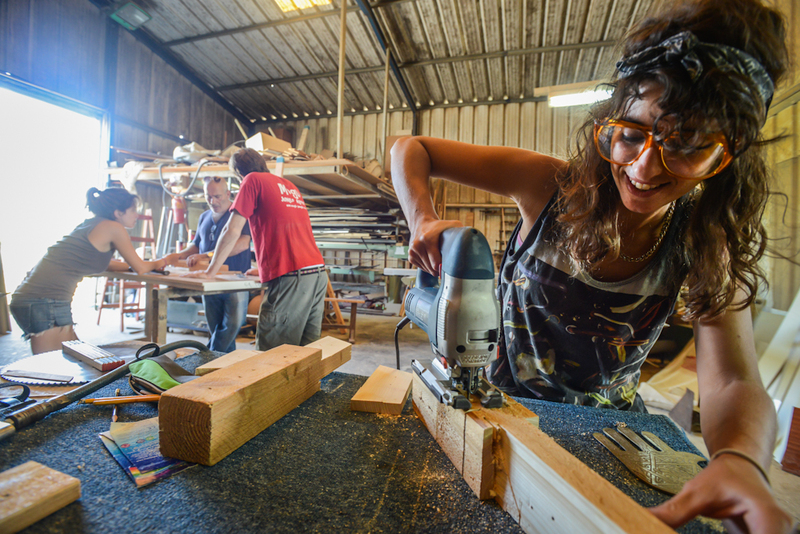 “There are about 300 people working nonstop on the Midburn festival. You have to understand, it involves building a temporary city.”…Midburn organizers claim theirs has quickly become the third-largest Burning Man-type festival in the world, behind the original in the U.S. (70,000 participants) and one in Africa (8,000 participants). 15 trucks and two shipping containers full of equipment will be brought down to the desert, along with installations and artworks created by 40 different groups. Midburn has a foundation supporting its artwork, which has granted 150,000 shekels to the artists. Eden, a perennial guest at Burning Man, says he has gladly spent tens of thousands of his own shekels on the festival. Representatives from the World Burning Man have recently arrived in Israel to declare the country one of the seven official areas where the festival is held. Rachel confirmed that Midburn does have to pay a licensing fee to Decommodification LLC. This conflicts with the recent opinion of nay-sayers here. It also conflicts with Midburn founder (and BMOrg official contact) Rei Dishon, who says in the comment shared by Nomad below that they are not paying BMOrg any fees. I know none of these people and am not attending the event, I have no dog in this fight and no axe to grind. I couldn’t tell you if both were authorized founders, or neither was, all I know is we now have two different people involved with two different stories. Let’s hope the truth gets out, we welcome everyone who has knowledge of the situation to come forward and tell us what is really going on behind the scenes. In my time I have met a fairly wide variety of party promoters around the globe, some successful, some only sporadically so. I’ve done business in the Middle East before, and have run into all kinds of “bazaar” situations in that part of the world. It’s no surprise to encounter two people who claim to be insiders and founders, but have completely different views about what is going on. Somewhere in this souk, agreements get made, things get worked out so everybody can move forwards, usually with everyone grumbling about something but getting enough to make it worthwhile. I have never been to Israel, but Burning Man’s Social Alchemist Bear Kittay told me “you’d love it. It’s just like Burning Man. People stop their cars in the middle of the street and get out and dance”. Burners will need to make up their own minds about what is actually going on in Israel with Burning Man’s first ever official (or is it?) Middle Eastern regional. Rachel’s claims that they messed up the budget because “we didn’t know things in Israel cost twice as much as the US” and “there are all these stricter regulations in Israel”, are called into question by reports that Midburn have been throwing Burning Man Regional events since 2012 – complete with art cars, a Man and Temple to burn, MOOP, Center Camp, costumes, gifting. The only difference here appears to be licensing the Burning Man name. Official affiliation doesn’t seem to have brought Midburn much, especially since they did not even have to publicize the event to sell all the tickets in advance. Hopefully the Burning Man Project will step up and supply what’s needed to reimburse the artists and get the art to Midburn. It’s a chance for them to do something meaningful with that money – what better cause than the first Middle Eastern Burn, in the year that we have a Middle Eastern theme? It’s also a chance for BMOrg to demonstrate to the international Burner community that their charity cares more about Art than it does about The Founders Speaking. The $18,000 would be less than 0.1% of the Burning Man gate take (it’s 47 tickets), and about 4% of BMOrg’s annual travel budget. They’re a non-profit, they want to spread Burner culture around the world, and they’re going to get royalties back from this one which is the second biggest…so what’s the problem? 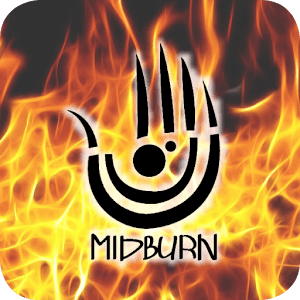 Why wouldn’t BMOrg want to support the Midburn artists? Or invest in the fencing, lighting, and generator infrastructure that burns in the region require, so that the promoters can pay the artists instead of having to keep all this sophisticated equipment, which would only be used once a year. 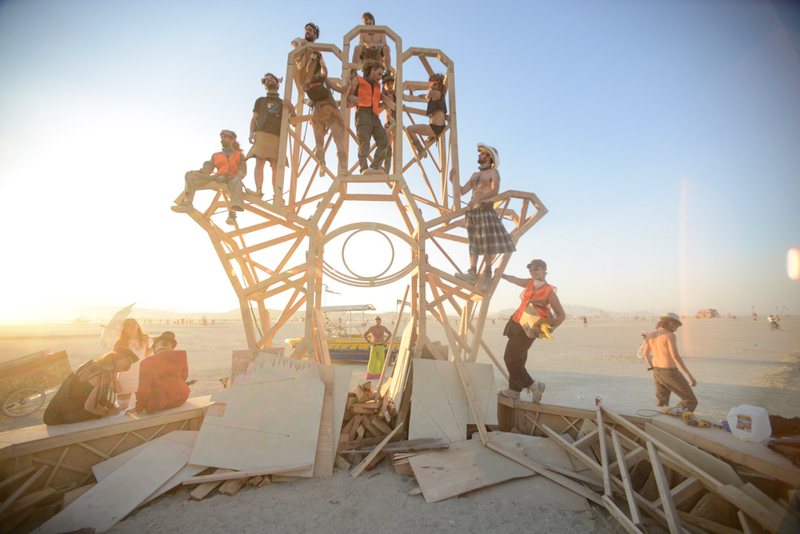 If Burners donate to the Burning Man Project, is the money going to flow through to the artists, to get their art to Midburn? Or will it go to BMOrg personnel for first class international travel to the rave? Burners who want to help out in the Middle East may also consider spending their dollars healing the damage done by fences, instead of putting up new ones. Hey guys. I can shed some light on a few things here. Rachel isn’t one of the leading group and she doesn’t have all the information. I’ll be happy to go on a Skype chat and explain everything you want. 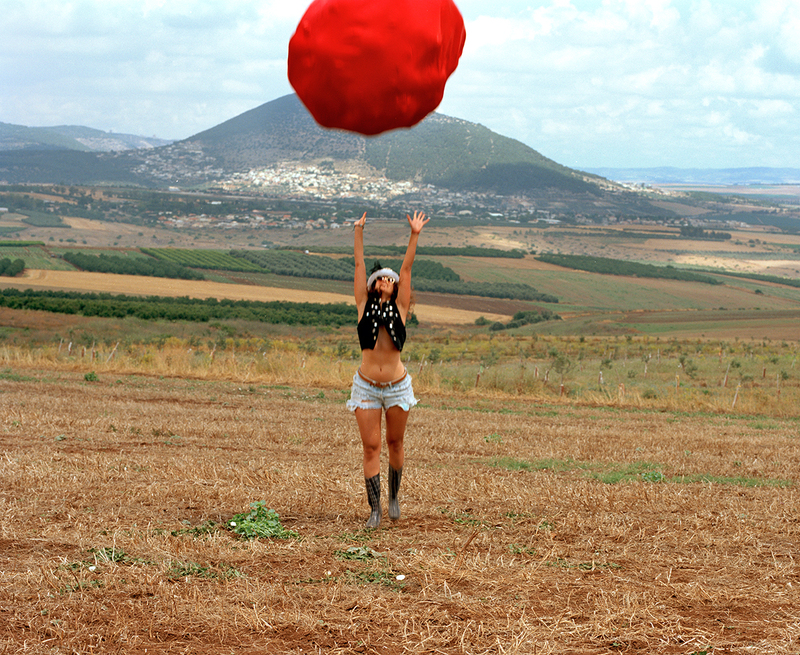 Midburn is a NON-PROFIT event and is organized on the pure desire to have a burner community here is Israel. It is most curious when people seek a face-to-face, or in this case Skype, instead of the written word. Will Chase of the BOrg recently made the same demand. Can anyone explain why writing is inadequate to convey questions and answers? Or are they instead seeking the ambiguity of a conversation, or an ad hominem argument to add, to obfuscate the facts. If it’s all kosher, why the need for secrecy? Why can’t they come here and answer our questions publicly? So far the only person who has done that is IsraeliNoMad, who as far as we can tell is a Burner, not an organizer. Now we have a FOURTH person claiming to be a leader of Midburn, and also part of this last minute Indiegogo campaign that started once news broke that the event was sold out, and runs for a month after Midburn ends. Problem is, I can’t find the names that are contacting me about the Indiegogo on the Midburn site or Facebook group, or the Burning Man site which lists no less than FOUR regional contacts for Israel. The Regional names show up in the Haaretz stories, not the people from this mysterious crowdfunding campaign. It looks to me like “Midburn” (BM Regional) is NOT the same as “The Midburn Art Project” (Indiegogo campaign). Just to be clear, it’s this Indiegogo we’re questioning – we hope Midburn is a great event. We’re pleased there is a regional event in Israel, and we wish the event all the best. According to the newspapers it’s sold out, so it seems like it’s a success with or without Burners.Me’s coverage. If the art couldn’t get there, but the promoters paid flights for 2 rangers from BMOrg to come from San Francisco to train their staff – well, that seems a real shame and not congruent with the Burning Man Project’s *stated* global mission. What if they’d only sent one ranger for training? The money saved from that could’ve been enough to get the rest of the art to the event. This Indiegogo campaign seems questionable, so we’re questioning it. A bunch of different people getting involved, saying they know more than the others, and trying to move the discussion offline…is not adding to its credibility. They’re welcome to come here and answer the questions, or respond to my emails. It’s several orders of magnitude faster for me to copy and paste from an email to wordpress, than to transcribe from a voice or video call. If they can’t be bothered answering my questions for something they are receiving money from, why should I be bothered talking to them and then spending hours writing a story from my notes, for something that makes no money for me? I will email Sharon with the same questions I sent to Rachel, Rei, and Eyal. Hi I’m from israeli burner and could shed some light about your post. I know the community here in Israel – it’s young it’s Naive and it’s surely not about profits or publicity at it’s current state. some people might have long term dreams but most are in it because they want to have a burner atmosphere events and life in Israel. and most of them pay a lot of time & money from to make it happen. Any disputes with the BMorg – shouldn’t reflect on the israeli community. Lets put things into perspective it is the first REAL regional in israel. with high percentage of virgins coming. I disagree with the way the campaign for the money was presented. The event will Happen with or with out. there will be art with or with out it. BUT – the amount of art and size of it will be smaller – and a lot of people that gave their time & sweat will have to learn the harder way how properly plan their budget and not start building a project you cant afford the truck to bring it to the desert and more. More virgins will miss-out on the event spirit. well yes it’s a young community and it’s a gamble investment about how well te funds will be used or organized but their Aiming with the right intentions for now. you don’t like to donate to this general indigogo maybe you can find a specific art project you want to donate to? regarding official contacts I can confirm Rei is an official representative in the midburn event and I can trus him when contacted to be honest – if he said their isn’t money paid – their probably isn’t (it’s small managing group). and with no fences, no-tickets and all the are was privately paid by the group creating it – including the man. And Israeli regulations are strict and quite a husel around a lot in permit and each officer can raise the Requirements. I didn’t see no art cars in previous events. I know about at least two are cars built by a couple of camps but they havn’t got to events. you should also note that in the begining the event was planned to be limited to 1,500 people – I’m guessing they increased they added more tickets because of lack of funding they wished to keep it smaller to keep the virgin ratio lower. my ticket price was only 100$ for the first batch of tickets released. I know that working camps and themes got discounts and some event free tickets. I’m guessing they also miscalculated the volume of stuff needs to be transported. or how many artists will build the event. Regarding the Indigogo dates – it’s wither a mistake or their planning on going into debt making it happen and hope to cut down on their loses. where did you hear that they managed to raise $75,000 from the Israeli community? it’s not unlikely just sound high to me and my knowledge. take a flight and join one of the projects being built. see the community from up-close and feel for yourself – I’ll see if I can get my hand on a ticket for you if you decide to come. IsraeliNoMad, thanks very much for your detailed comment. You have given us much more insight so far than anyone else. The festival sounds great and I’m sure it will be a success with so many people attending. Hopefully Israelis recycle most of their art instead of burning it, so the festival will just get better every year – and throughout the year. Maybe BMOrg will chip in to buy a flatbed truck and forklift that the artists can share use of. I agree with your comments that directly supporting the artists might be better than funding this campaign in the hope that the money will make it to the artists after a month of post-event fundraising. Please share any links you have to projects you know are legitimate and artists that truly need support. The $75,000 figure comes from the Indiegogo campaign we are talking about. Thank you also for your kind invite to attend, I’ve always wanted to go to one of the world famous Negev raves. Unfortunately that weekend I have a prior commitment on the East Coast. Maybe next year. Have a great time. Good luck with the cops – Burning Man has a ratio of 1 cop per 600 Burners. Midburn has 1 cop per 25 Burners. I will contribute time and effort to Figment because it is free (no ticket revenues to play with), and is no longer BOrg-related. I will do a theme camp at an East cost BOrg-endorsed event because the ticket price was reasonable and I had a good time last year, and think the event would benefit from the new camp I am working on for them that has proved itself on the playa before. Work on the NV Burn, where veteran Burners are discarded in favor of virgins?… Nope. As I said before, if I want to indirectly contribute to a non-profit I will go wash cars in the Bose factory parking lot. Do you want each reader of this blog to call you? When you post a comment they can all read it. Regardless of the veracity of the statement, why not post it as a comment for all to see? Sumpin fishy going on…. Unfortunately, the lesson I have learned from the BOrg experience is that I need to see a balance sheet and P&L statement before I donate to anyone. As suggested, the extra $9 from those who will get the most benefit from the art sounds reasonable. And depending on the connection to the BOrg, and how much they want to play it up, that seems to be another source. Just wondering… is Midburn making any payments to Decommodication LLC or any of the BOrg entities? If so, how much? I ask because I personally contributed thousands of dollars and hours to making “Burning Man” the salable commodity it is today. yes, they are making payments – see update. I’ve asked “how much”. Maybe Decommodification LLC could waive the fees for the first time event – or at least give them favorable lending terms on the debt – so the art could get there and the artists could get paid. Better the promoters to be in debt to BMOrg for the royalties, than the artists to be in debt to anyone for their participation. The BOrg should consider a “”tax-free” period to encourage start-ups, like NYS does for companies that move in-state. Too bad the Midburn story is so conflicting. I would have hoped my skepticism to be proved wrong. I seriously wonder what the motivations are in these Midburn communications, and if their intent is only to manipulate us and perceptions. Did the BOrg suggest “we” were an easy target to milk for a few extra sheckles? Could they be that out of touch with reality? Someone once told me the world was made up of two types of people: wolves and sheep. I said no, it’s made up of people that believe that and those who don’t. Please check again regarding the payment – what was the quote Rachel gave saying there is payment to LLC? perhaps it’s a poor English mis-understanding ? I find it hard to believe that were paying to LLC for this event. Yes we certainly are paying a Burning Man licensing fee. I have sent questions to Rachel, Rei and will report on their answers. Obviously Midburn exists in two distinct quantum universes where one pays the BOrg fees and the other does not. I wonder if they are both short of cash for transporting art. From the stories being told here, it is the one paying the fees that is short of transportation funds. In that universe, I wonder how the fees and funds shortfalls compare.